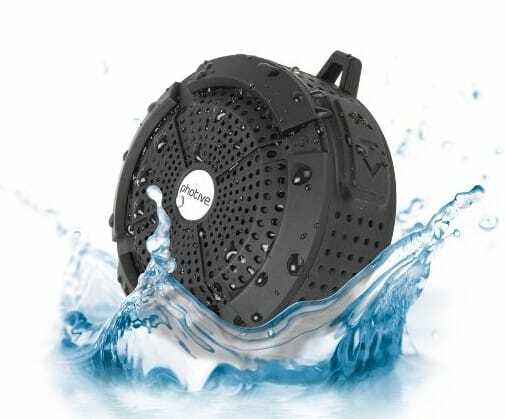 Save 60% on the WaterProof Portable Bluetooth Speaker, Free Shipping Great Gift for Dad! The WaterProof Portable Bluetooth Speaker is on sale for $19.95 at Amazon right now. That's 60% off the list price of $49.95! Great gift for Dad! Waterproof, Shockproof, Dustproof Rated IP65 for 100% protection against Water and Dust. Rubberized rugged exterior for ultimate impact resistance. Inclueds a Removable Suction Cup for use in a Shower, and a Carabiner Clip so you can carry it on the go.